Evergreen is located in a quiet neighborhood in South Knoxville, no more than 5 minutes from the bus stop on the corner of Davenport Rd & Baker Avenue. ​Each apartment is equipped with stove, refrigerator, dishwasher, heat and air, and all large apartments have balconies off the living room area. The smaller apartments open onto the yard. 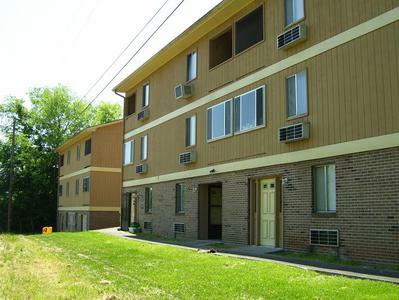 Ample parking is provided and there is a laundry facility on the property. Dogwood Elementary School is just two streets over and South Doyle Middle School is less than a mile away. Evergreen is close to the Post Office and to shopping on Chapman Highway, and is within ten minutes driving to downtown Knoxville, UT Campus and UT Hospital. Our apartments have a large yard for your enjoyment and Stanley’s Greenhouse is nearby. IJAMS Nature Center is located in South Knoxville and offers both hiking and biking trails, play areas and an information center. Have questions about Evergreen? Click my picture! Click here for a printable brochure . 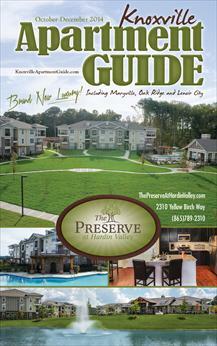 Find more Garland Realty & Management properties in your current Knoxville Apartment Guide .